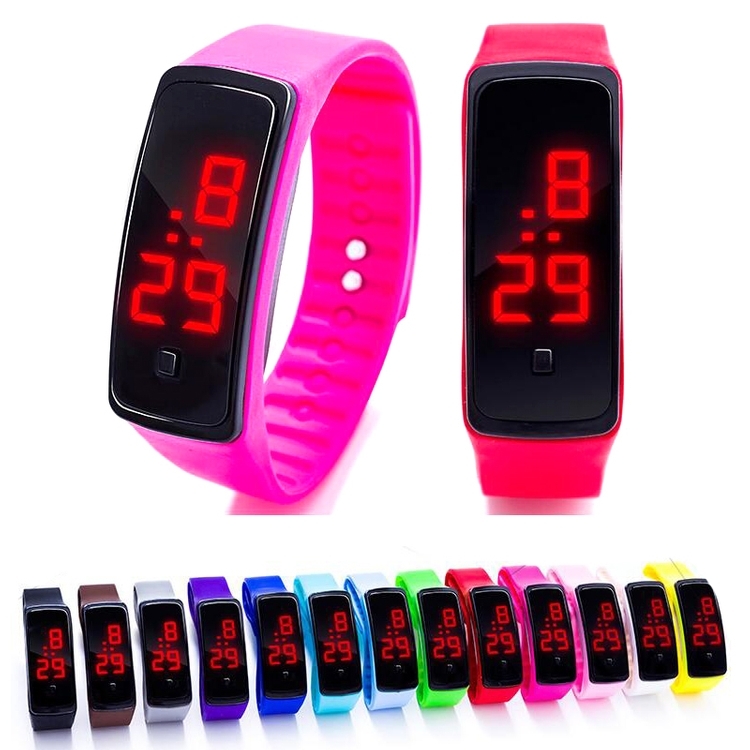 This wristband digital watch is made of environment friendly silicone. Suitable for adults and children. Assorted colors and custom logo can be imprinted. Package:1 pc/opp . 500 pcs/ctn, 28 lbs/ctn. Color available: Black, blue, Brown, Gray, Green, Orange, Pink, Purple, Red, white, Yellow. Imprint Size: 8'' x 1"